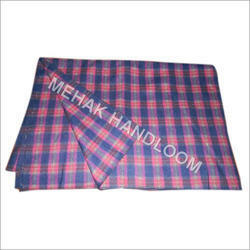 We are a leading Manufacturer of check blazer cloth and woollen blazer cloth from Panipat, India. Our unlimited encounter in this domain has empowered us to serve the patrons with a wide cluster of Check Blazer Cloth. Our create design these cloths by utilizing ideal quality fabric and modernized engineering at our decently kept up assembling unit. With the consolidation of style and class, these cloths are offered in a few prints and sizes to our clients. Our offered fabrics are analyzed on diverse parameters to guarantee its defect free nature. 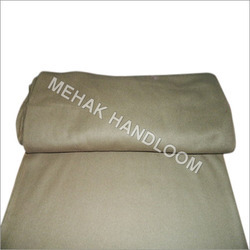 We have risen as the first manufacturer, exporter and supplier of Woolen Blazer Cloth. Our offered cloth is designed using the finest fabrics by our very talented architects. Other than this, provided cloth is consolidated in vogue looks and high solace level. Apart from this, our quality controllers stringently test the cloth at each one period of creation to guarantee unmatched quality. In addition, we are putting forth this cloth at nominal costs to our patrons. Looking for Blazer Cloth ?